Uponor manufactures housing and construction systems since1964. In order to manufacture plastic pipe systems, Uponor has built a location in Nastola, Finland a few years ago. The location is also used to store municipal building pipes and other equipment. To improve production and warehouse operations at this site, the old conveyor system between the two operations needed to be renewed. 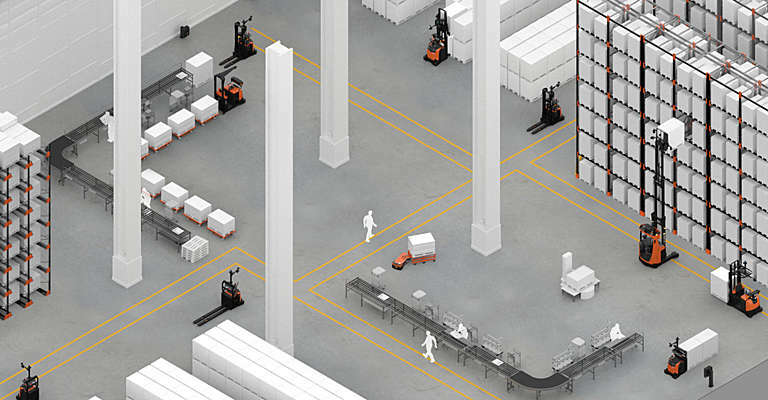 As an alternative, the conveyor system could be replaced and complemented with automated guided vehicles (AGVs). 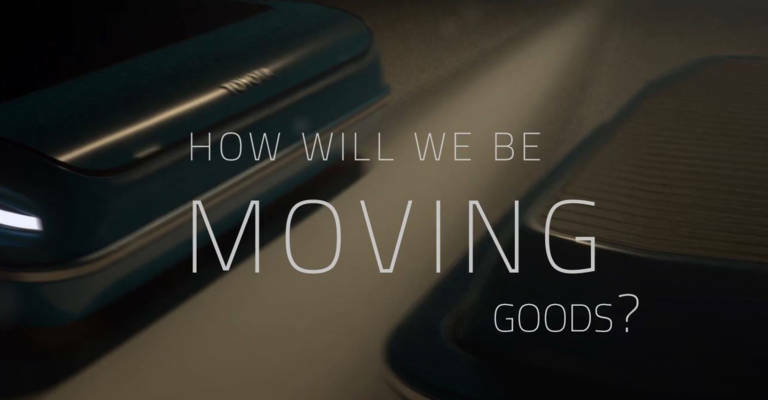 "For us, AGVs are a clear investment in the future," says Warehouse Manager Anssi Juurinen. Uponor's choice for AGVs was decided by two factors: space & reliability. 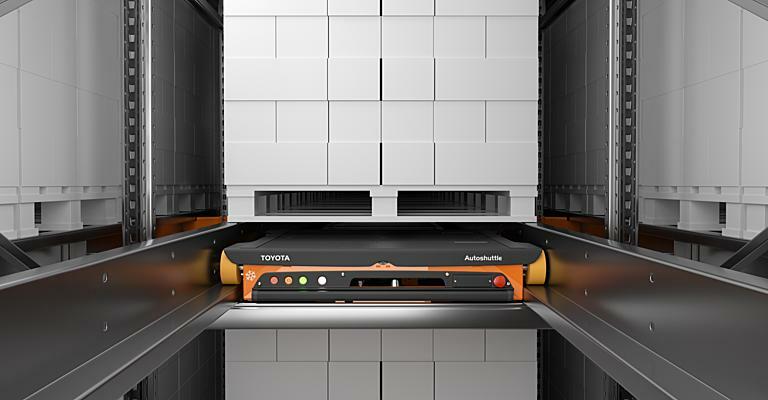 By replacing an old conveyor system with automated forklifts, a lot of storage space became available that could be put to a different use, such as for additional shelves. The conveyor system was also at theend of its lifecycle and required quite some maintenance and manpower in the last couple of years. "Now these resources can be used for other tasks, improving productivity," says Anssi Juurinen. The AGVs have designated routes separated from the pedestrian routes, improving safety in the warehouse. The automated system can be integrated into Uponor's ERP in the future, something that was impossible with the old conveyor system. 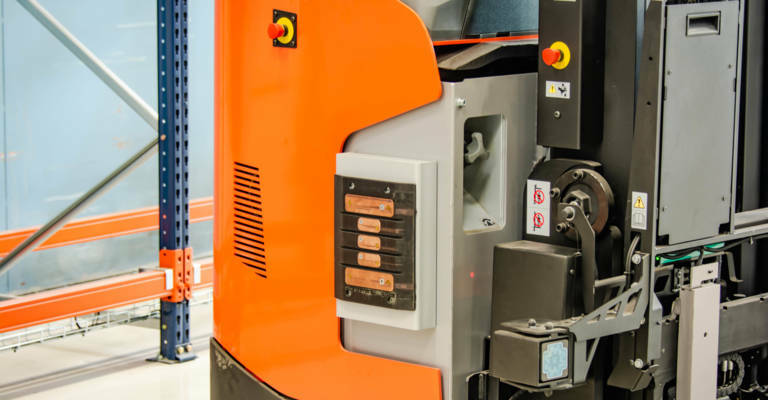 The automated forklifts support the 24/7 production at Uponor, only pausing the material flow of the production when it's convenient to charge the batteries. This can be done in short charging cycles that are aligned with the production cycles thanks to lithium-ion battery technology. 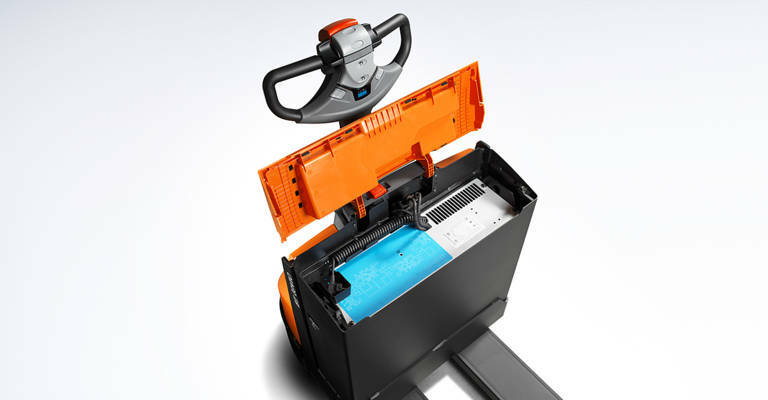 The AGVs can automatically charge themselves within their own operating environment, eliminating the need for a separate charging area. Moreover, the lithium-ion powered trucks save between 20-30% energy compared to traditional battery technology. Their battery life is also longer and they charge much faster in several short periods without the battery running low. Thanks to this opportunity charging, lithium-ion batteries do not need to be replaced, attributing to ergonomics and safety in the workplace. The ROI of an automated solution is usually 2-3 years. 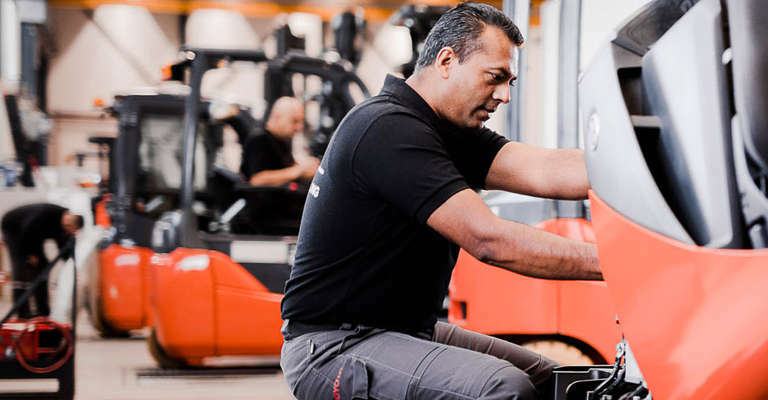 When installing automated systems, the introduction of the first truck creates a system environment in which the next automated truck can be implemented as well, making the installation cost-efficient for the following trucks. Connecting the second machine costs only half the price of the first machine and its environment. That's why the system was expanded as soon as measurable, positive results were produced. Anssi Juurinen shares his experience working with Toyota: "Toyota is a reliable partner for us with whom we have been working for many years. In addition to their technical solutions, we also rely on Toyota's extensive service support since we trust their know-how."